Diamond Select Toys’ Spider-Gwen statue is coming this fall — and we have an EXCLUSIVE behind-the-scenes look (and Q&A) with sculptor Clayburn Moore. 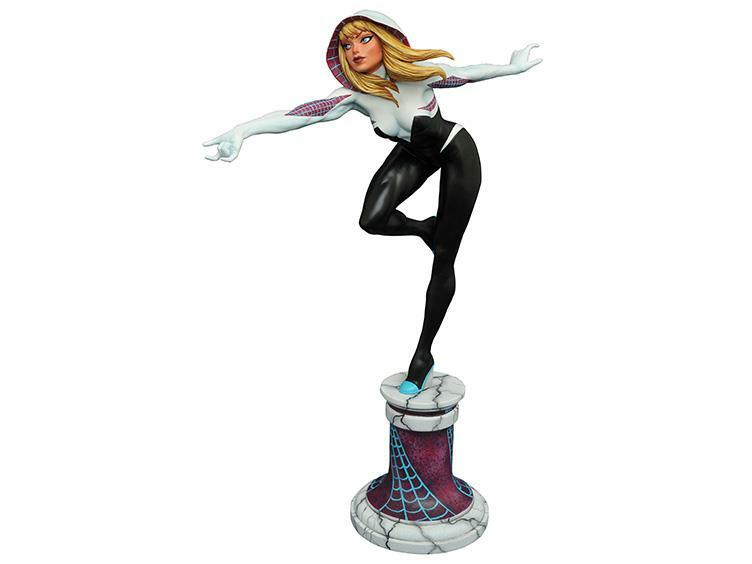 Spider-Gwen’s meteoric rise over the last couple of years has been a boon to merchandisers seeking to capitalize on the most popular new Marvel character in recent memory — and Diamond Select is going all in with a high-end statue due out this fall. The prototype pic looks good, with Gwen looking both new and retro at the same time. The character was created by Jason Latour and Robbi Rodriguez but that face is, to me anyway, unmistakably Romita. 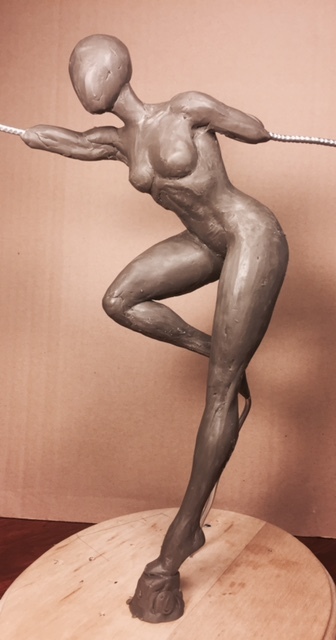 Anyway, check out this sneak peek with sculptor Clayburn Moore, whose work here is magnificent. Museum-quality, even. Dan Greenfield: As I always like to ask, why’d you pick this pose? Clayburn Moore: I sometimes work up poses myself or I’ll see something that I think works and I’ll rework that look a little to get a pose that works well in 360. In this case, I was looking at some terrific thumbnails Nelson Ascencio did for the Gallery (PVC) Spider-Man piece. I thought one of them was exactly what I wanted for Gwen in that it was a nice motion piece and had a feminine vibe to it that was appealing. I felt it only needed to have her a little more upright, and voila. Dan: She looks especially like Romita Sr.’s Gwen. It’s not just the headband and bangs. Was that what you were going for or am I seeing too much in it? Clayburn: A little too much, but you’re on to something. When I gather reference on any character, I’m drawn to what I like and what I think will work well for the collectors; what they will expect the character to look like. want to do what meets people’s expectations, which will obviously lead to higher sales. You’re on to something in that I grew up on John Sr.’s Gwen and while I didn’t use that specific reference, I used current reference that had that feel to it because that’s what I like. So I based her look on that. Her face is probably more Romita by way of (J. Scott) Campbell, I suppose, but I sculpted her portrait without looking at much when I did it. Clayburn: I feel I’m competent at live-action portraits, but there are people who are much better. I’m a comic-art sculptor by choice and skill set. Dan: Have you been in touch with any of her creators? Clayburn: Current artists and writers? No. I met John Romita once. We were at a lunch together and he was a very nice man. It was an honor to meet him. When I was a kid, I used to copy his covers from The Amazing Spider-Man. 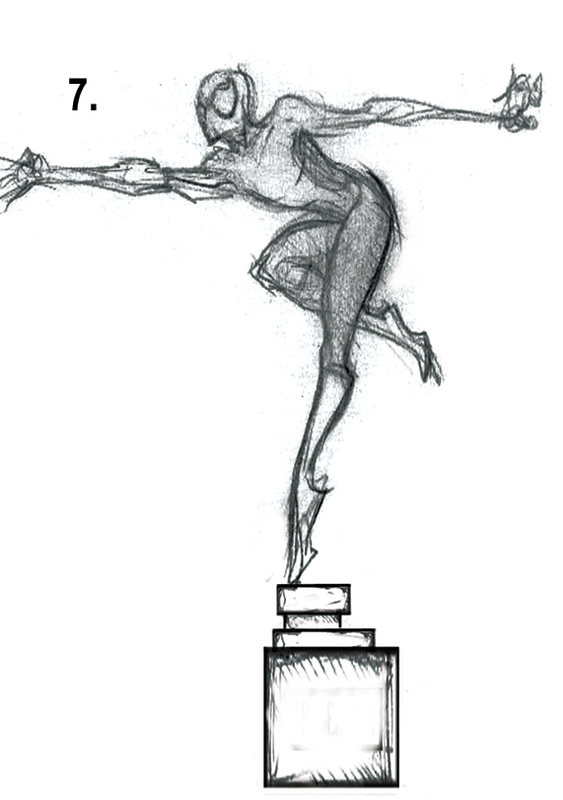 My dream was to be a comics artist, but I turned out to be a better sculptor than 2-D artist. 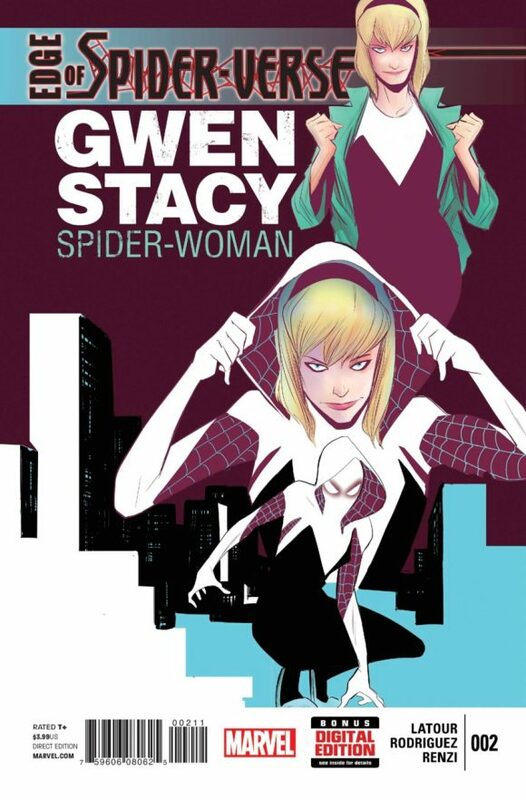 Spider-Gwen will run in the $150 range.